Coinigy provides digital access to the both the global cryptocurrency financial markets. Live prices are listed from the most important cryptocurrency exchanges which can be analyzed with various trading tools and indicators. Coinigy is a Milwaukee, Wisconsin based company with a digital platform to access the global financial markets of the crypto world. The startup has been launched in 2015. 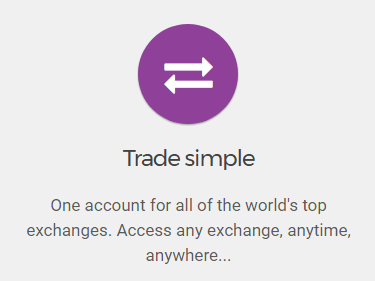 With Coinigy you can trade on more than 45 of the most popular cryptocurrency exchanges with your desktop or mobile app. The team behind Coinigy consist of both programmers, software developers and traders who can years of experience in the financial markets. Robert Borden, the founder and CEO has 10+ programming experience along with the other founder, William Kehl who is the president of the company. Coinigy can connect to the world’s most popular and biggest Bitcoin exchanges including Bitfinex, Bitstamp, BTC China, CEX.IO and much more. Pretty much all of the best-known Bitcoin exchanges can be found on Coinigy. You can follow charts of the exchanges and analyze the prices live. Some of the exchange also have the opportunity to join live trading. You just have to select your favorite exchange, fill the needed inputs and you are ready to trade. Coinigy features include mobile access through Coinigy for Android application. Unfortunately, the IOS version is not yet available, but the team is working on the release. 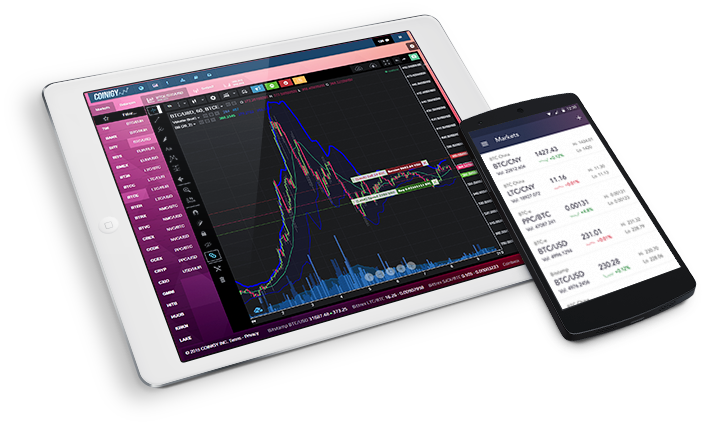 The Android version allows Bitcoin traders to have a 360 degree view of all their exchange accounts and access to a variety of charting/trading solutions in the palm of their hands from anywhere anytime. The Coinigy platform is a cloud-based one, and it never holds any of the users’ funds, so its security is bullet-proof. Just to be on the safe-side, it also uses two-factor authentication and SSL connection for secure any data feeding through the site. The CryptoTicker plugin for Chrome and Firefox let you to get price updates and view your favourite charts anytime from any PC. You can also identify cross-exchange arbitrage opportunities with ArbMatrix tool. Bitcoin and cryptocurrency prices may vary widely between exchanges, with the ArbMatrix tool you can spot arbitrage opportunities and profit from the different prices observed on different exchanges. You can find unique trading opportunities on-the-fly with the proprietary Bitcoin Chart Scanner. The chart offers a wide range of analytical tools and indicators to make sure your decision making on trading is well supported. Price and volume data are both available from the cryptocurrency exchanges. There are built in analytical tools offered by Coinigy but you can create your own indicators as well if you wish to tweak any of the existing ones. The social scanner filters out crypto currency mention from social media chatter and the chart scanner facilitates the quick and easy location of unique trading setups. At the same time, you can stay up to date on your favorite cryptocurrencies and their social mentions with SocialScanner app. Anytime there is a mention about the monitored coin in the social network feeds, you will be notified. They claim to have 99.9% uptime with 24/7. Both the exchange and wallet portfolio monitoring is available anytime throughout the day. 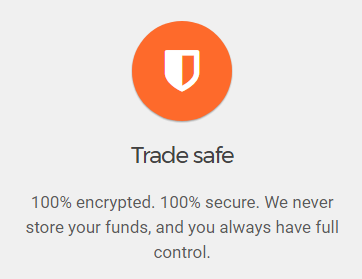 There are also no funds stored on-site on Coinigy, providing a guaranteed safer experience for users. The funds are transferred directly to the cryptocurrency exchanges, Coinigy does not act as an intermediary during the trading process, just supply the necessary tools for decision making. The funds are stored on the exchanges itself, or in their digital wallets that are specifically detached from the exchanges. The latest tweaks and changes into the software now also help users make better and more assured decisions when it comes to the changing market conditions. This is all in regard to increasing profit and trading effectively. If there is a change in the market, you are able to react right away as you are notified about various events through the platform. Traders can choose to receive a number of price-related alerts, in their browsers, as well as through emails and SMS text messages. Besides these notification methods, a third-party app integration is also possible. Traders can add Google Sheets, as well as a number of Crypto tickers to their Coinigy accounts. You can monitor and analyze performance from spreadsheets for any cryptocurrency in your portfolio. Coinigy isn’t for free, but there is a 30 days trial period which is free of charges. 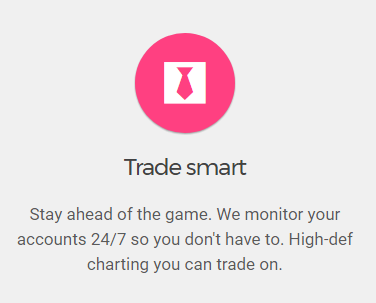 During the trial period, you can access all of the features the Pro plan provides including unlimited no-added-fees trading, portfolio management, mobile app access, charts, technical indicators, and support. The Pro Trader program costs $15 per month. Coinigy Pro Trader version offers unlimited, no-added-fee trading 24 hours a day, 7 days a week. Portfolio management is available also mobile app access. The high-definition charts filled with a mind blowing 75+ indicators. You will have unlimited API accounts, with unlimited chart layout, all time support. ArbMatrix app is also included in the Pro version which is excluded from the trial version. Coinigy’s all-in-one digital currency API offers one code base for more than 50 exchanges approach. With this API you can you rely on direct access to Coinigy’s low-latency live streaming data spanning hundreds of markets and currencies. 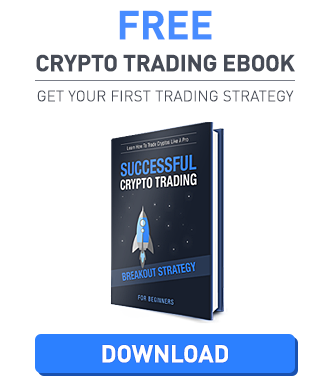 Use this for High-Frequency trading through one direct connection. Dig deep into your favorite digital currency with direct blockchain API access for hundreds of cryptocurrencies. Low-latency data feeds are used to make sure that the prices featured by the platform are accurate. Coinigy is a one stop shop for cryptocurrency traders. The platform offers the live prices of 40+ exchanges with the ability to trade on a couple of them. You can follow and analyze the charts on the platform from anytime and anywhere using the Android app, the Chrome of Firefox plugin or the web based application. The ArbMatrix tool lets you trade on arbitrage opportunities arising between the various cryptocurrency exchanges. Coinigy, however, is not for free, there is a 15 USD monthly subscription fee to use the services. You can try all of the features with the 30 days trial period.